Don’t stress this holiday season! 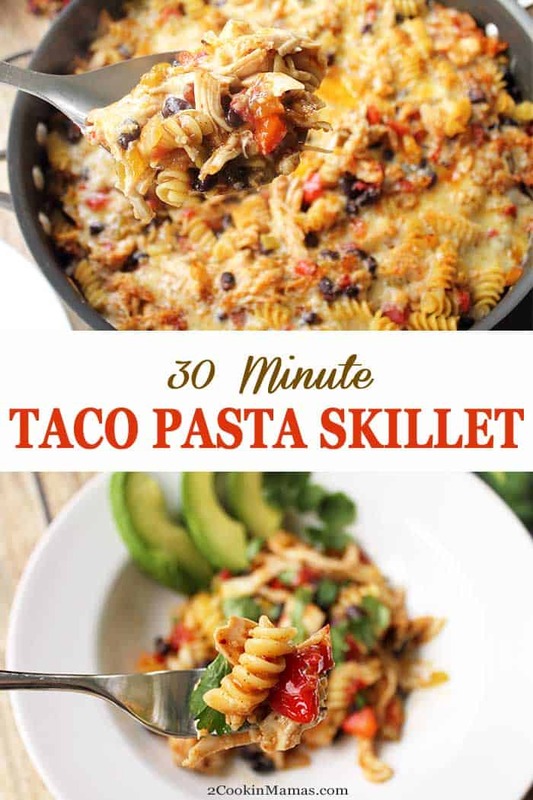 Whip up this quick & easy 30 Minute Taco Pasta Skillet for dinner. 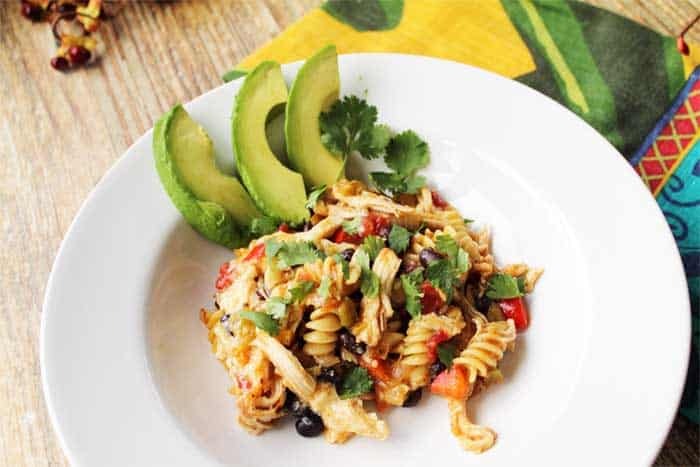 All your favorite Mexican flavors mixed with rotisserie chicken, tomatoes and pasta. And it’s made in just one pan for easy cleanup too! Did you know there were only 50 days until Christmas? This is my favorite time of year but also my busiest too. There are goodies to bake, Christmas chopping to start (yes, I’m one that gets a head start but it never seems to help as I’m still finishing up at the last minute), parties to hold and attend and, of course, keeping up with some great recipes for y’all to make to help make your seasons brighter. So that’s why I’m bringing you an easy dinner dish, much like our Chicken & Tortellini Skillet and Seafood Stew, that can be on your table in 30 minutes. There’s not much fuss to it at all! 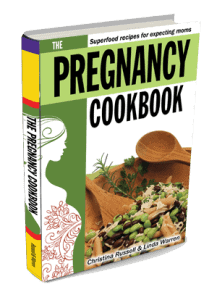 It starts with a rotisserie chicken and uses easily found canned and packaged items. And, even better, it’s got all your favorite Mexican flavors and a touch of Italian with some fun spiral pasta. 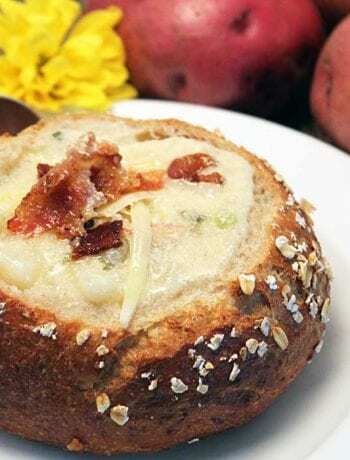 Bonus, it tastes great the night you make it and for next day’s hot lunches too. 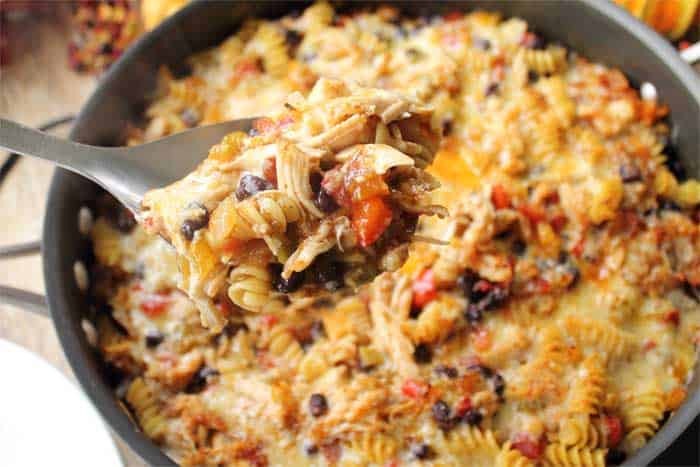 Check out how easy this Mexican Taco Pasta is to make! 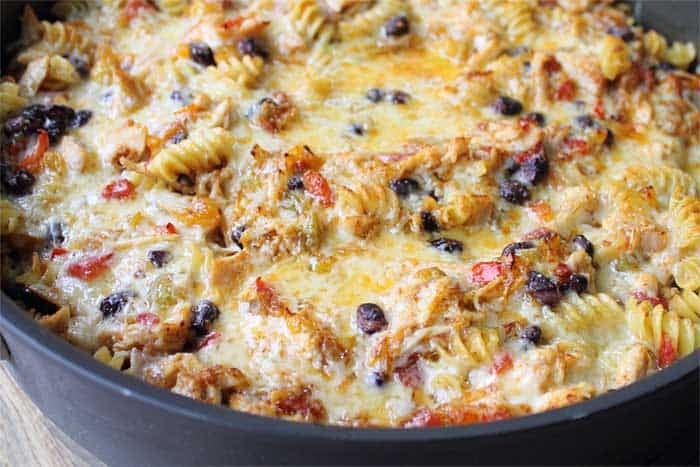 Start with a large skillet, saute onions and peppers then add garlic, taco seasoning, Rotel tomatoes and green chiles, pasta, black beans, chicken broth and milk. Simmer for about 15 minutes then top with cheese, throw under the broiler to brown and voila – dinner in one pan in around 30 minutes! 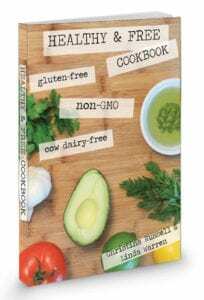 I love to serve it with a side of fresh sliced avocado, ’cause avocado is good with everything! 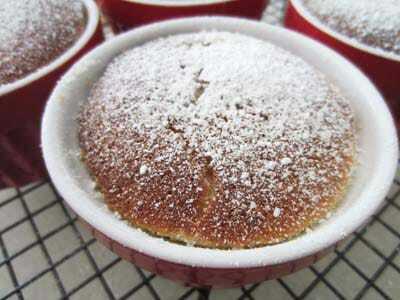 You can also top it with sour cream and fresh salsa too. Just look at that bite of deliciousness! 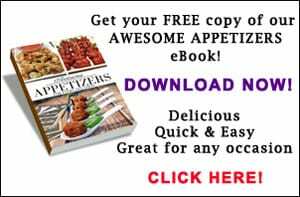 So make your holiday season a little less stressful with this quick, easy and satisfying tasty dinner. Enjoy! Don't stress this holiday season! 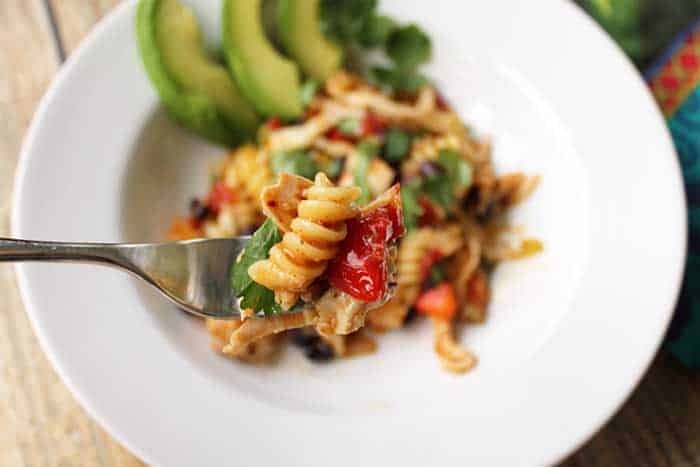 Whip up this easy 30 minute Taco Pasta for dinner. 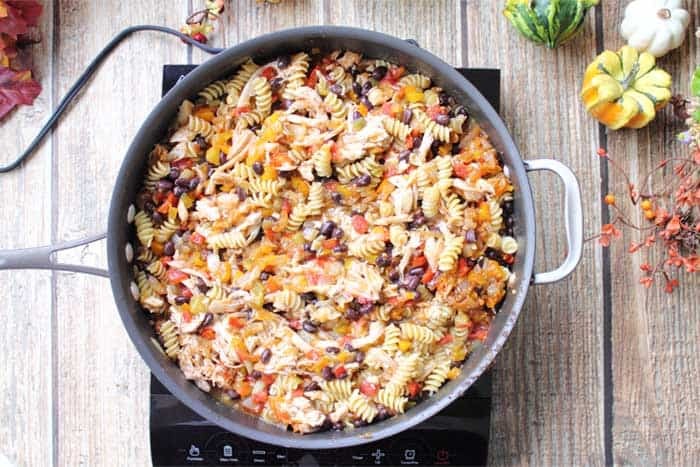 All your favorite Mexican flavors mixed with pasta & made in one pan! Shred the rotisserie chicken and toss with half of the taco seasoning. Set aside. In a large skillet, heat 1 tablespoon olive oil over high heat. Add onions and peppers, tossed with remaining taco seasoning, and cook until vegetables are slightly charred. If the pan gets too dry, add remaining olive oil. Stir in seasoned chicken and heat for 2 minutes. Remove contents to bowl. 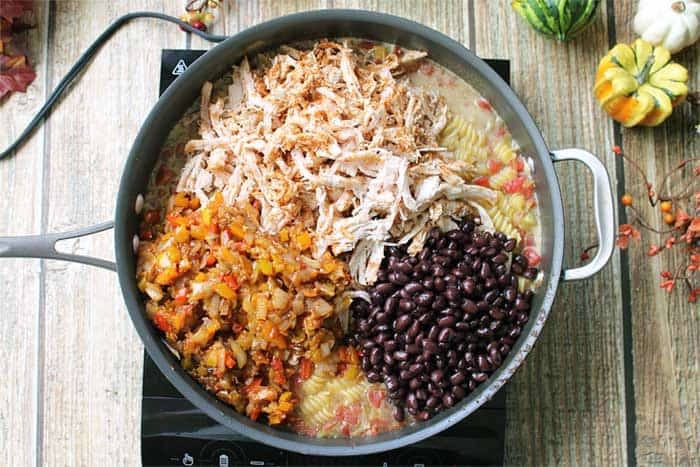 To the skillet, add chicken broth, milk that has been combined with cornstarch, diced tomatoes and green chilies, additional green chiles, dry pasta and salt. Stir to combine and bring to a boil. Reduce heat, cover and let simmer for about 15 minutes or until pasta is cooked to your liking. Add back in the chicken and vegetables and stir. 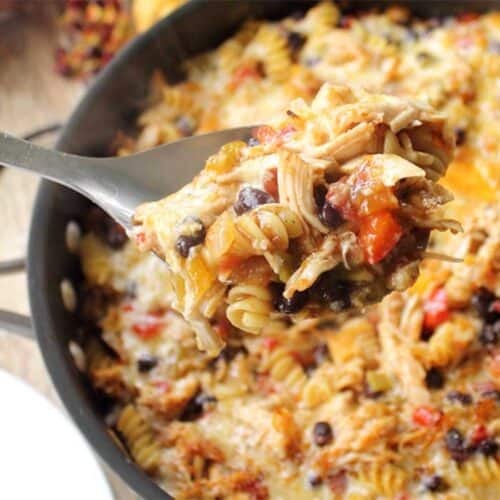 Top taco pasta with shredded cheese and place under broiler until cheese has melted and is nice and brown. What can’t a rotisserie chicken do? Love that shortcut and it works great here. The flavors here are total perfection! 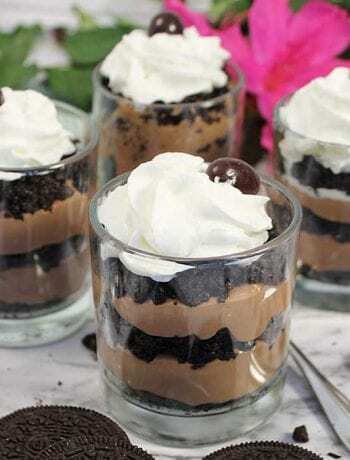 Such a filling and comforting dish for dinner! Thanks Jenn! It’s a great way to get that taco and pasta craving satisfied in one dish.